If you have long hair there's nothing better than being able to put it up and experiment with different styles and looks. 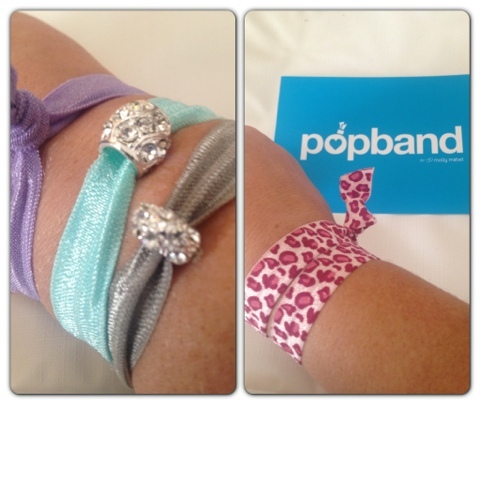 How about using hair bands that can jazz up your hair as well as being able to use it as a fashionable bracelet.
" 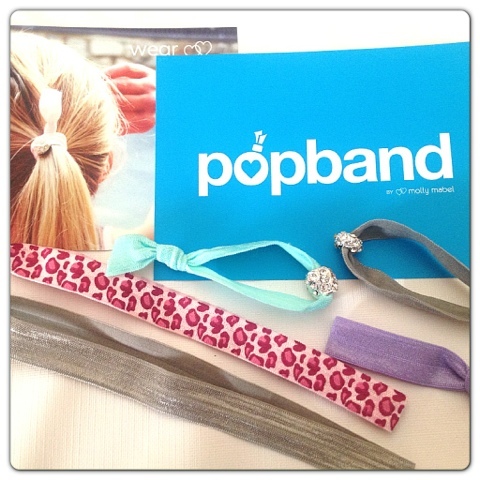 Vibrant, fun and funky head gear that will make any girl sparkle and shine, our soft and stretchy "no dent" Popbands will hold your hair up tight and still leave it fresh and kink-free when you take it down again." 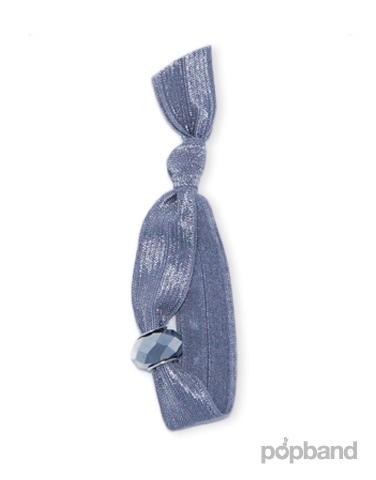 I really like the idea of using a hair tie that wouldn't dent my hair. I have hair extensions that I need to tie up at night and there is nothing worse than waking up and having to re-straighten your hair because you have a band mark running round it. They come in lots of different colours and styles. 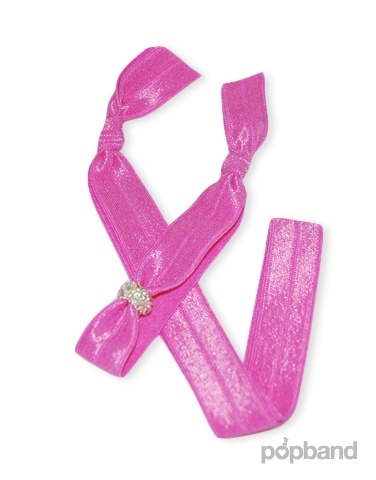 I especially like the ties with jewels on, very pretty and can jazz up a simple ponytail with ease! They also do headbands which are great for working out, to use in the summer to get all the hair off your face and for applying your make up. 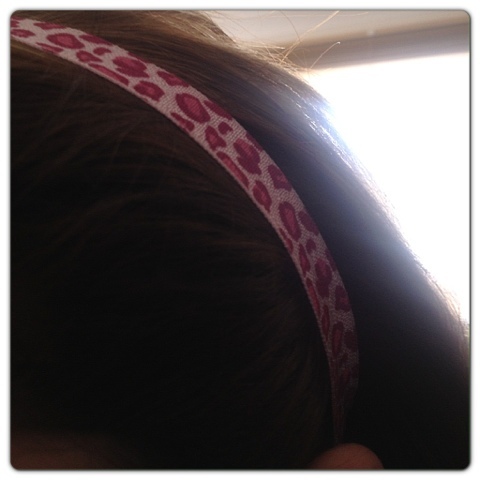 Because of the soft elastic they are super comfortable to wear, I find some headbands give me headache when they are too tight. You can also wear them as bracelets. 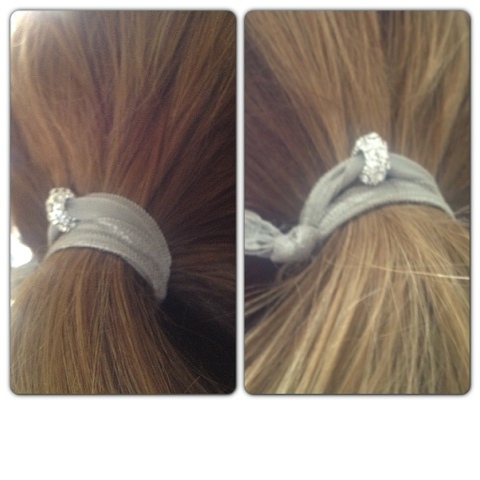 Fab for easily putting up your hair up during the day when your on the go. I think these are a fantastic idea, combining hair care and fashion all in one step. I especially think they would be really good for children, the super soft material means that they are not going to snap or damage the hair and I think the vibrate colours and jewels will really appeal to them. If I had to sum these up in one sentence it would be....Funky hair ties that care for you barnet and make a great fashion accessory. 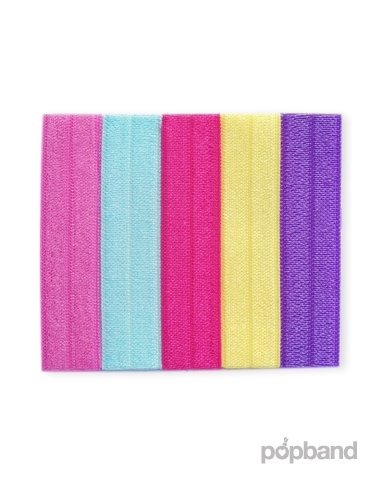 What do you think of these funky hair ties? Hi guys! Today I'm going to do a little run down of products that I'm loving and some that I've found some what disappointing. I brought this about 2 weeks ago after reading good things about it. 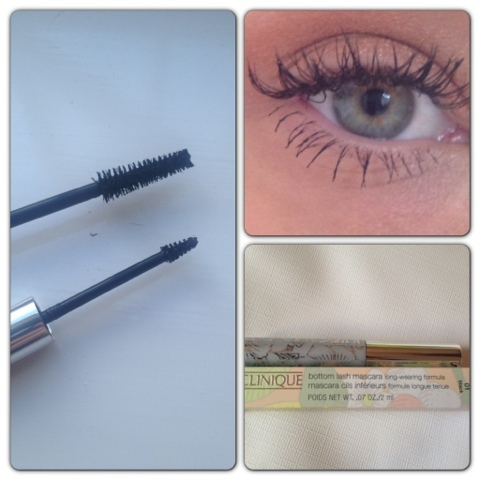 I must say that mascara on my bottom lashes has been the bane of my life. I love the look but it just doesn't last. I find myself resembling a panda within a few hours of applying and it's put me off wearing it,(especially for work) I find a long day in warm atmosphere does not help at all! Soooo after reading about this little baby I decided to give it a go. 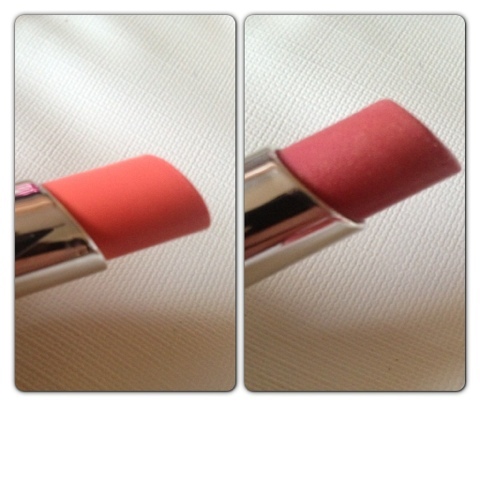 As you can see I brought 3, I love the colours their Vibrate and gorgeous! I'm loving ( like most people) the Real Technique brushes. 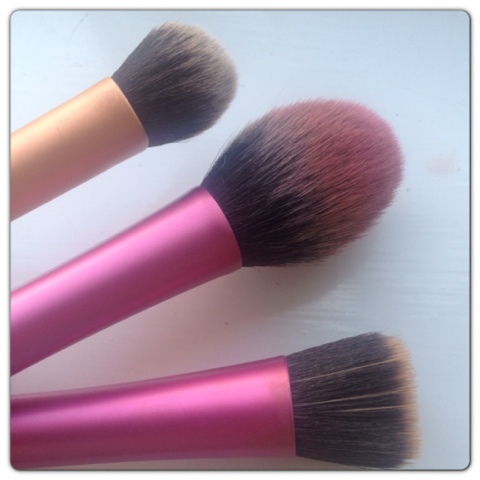 I recently got the expert face brush which I now use instead of my stippling brush to apply my foundation. 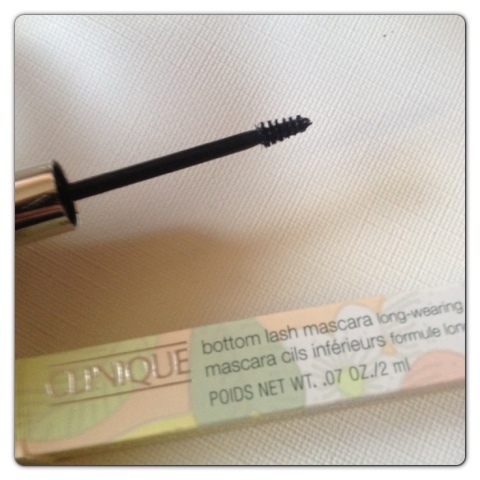 The brush is lovely and soft, it holds just the right amount of product. 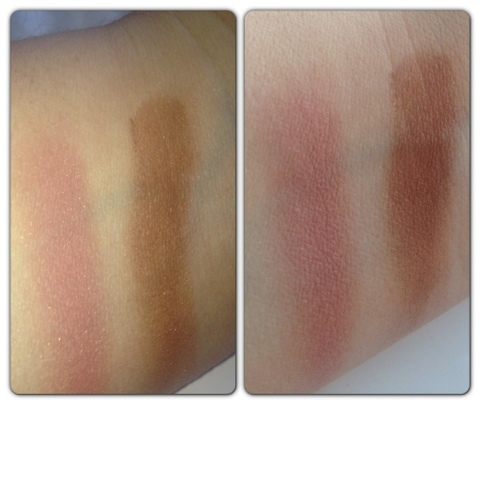 I find apply my foundation is super easy and quick, it delivers a flawless and polished finish. I will definitely be buying some of the eyeshadow brushes next! I purchased this a while ago and have to put it into the HATE pile. Now if you know me or read my blog regularly you know that I love tanning and always have a tan ( without I'm super pale). So I brought this too use, as my bronzer was running out. The reason why I hate it is because it is just sooooo dark, it's unwearable, and considering I have a tan it's still way too dark for me. I really don't know anyone it could work with. The blusher is not too bad but I can;t find a way of using the bronzer. ( as you can see from above the bronzer is just so ridiculously dark) I have tried using it to contour and alas it still fails. 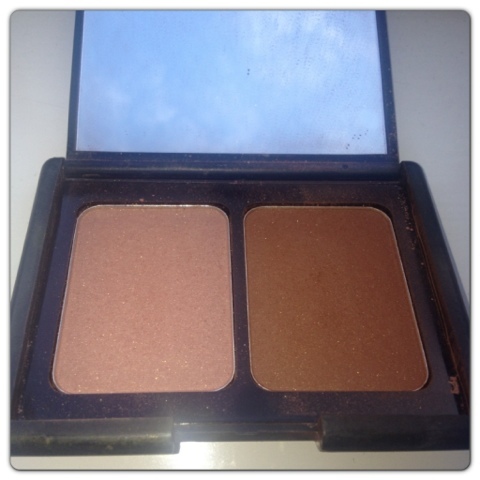 It's super pigmented which is normally a good thing but when it comes to bronzers I think they need to be subtle and build -able rather than tango orange in one sweep! I will not be repurchasing! This is my first monthly wish list, some of the products mentioned I have been lusting after for ages and I have now decided this month is the month that i finally purchase them. 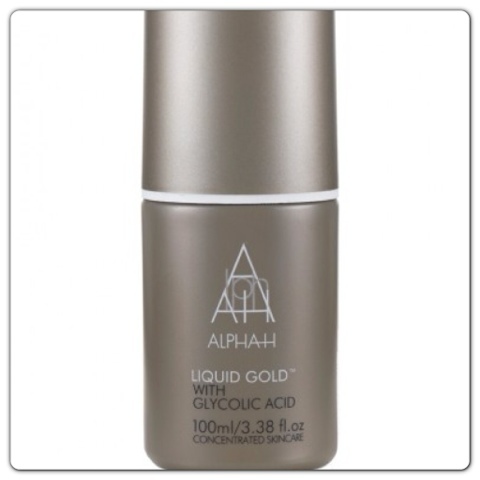 First up is Alpha H liquid gold. 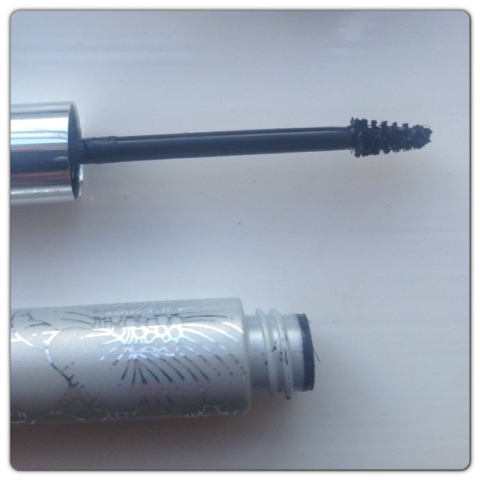 This has been in the blogger radar for ages now and I think it's about time I gave it a whirl. 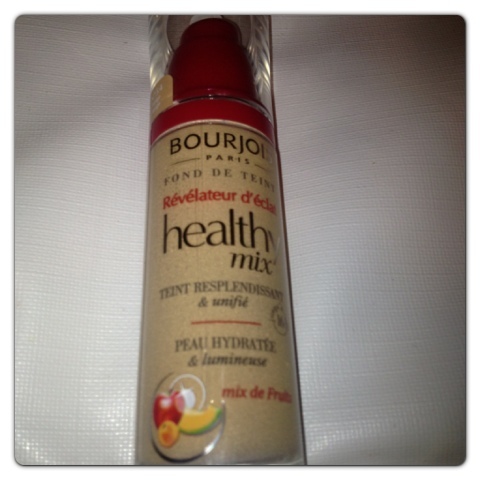 If you haven't heard of this it's a serum that is applied every 3 days at night. You leave it overnight on your skin and wash it off in the morning. The product claims to improve the appearance of fine lines, wrinkles and large pores, tightens skin and can reverse some of the symptoms of sun damage and acne scarring. It is said to be like having a facial while you sleep! I have recently removed my gel polish and now I'm wanting to paint my nails and look after them a bit more. Some of the nail polishes that i want to try are coming up next, but to keep the polish looking fab for longer I am going to try the Seche dry fast top coat, "widely acknowledged as the world's finest top coat. Specially formulated to penetrate through nail lacquer to the base coat forming a single solid coating over the nail plate for a much more durable finish. Guaranteed not to yellow while leaving nails silky, stronger and resistant to chipping and peeling"
Barry M gelly nail Polish. This to me sounds very similar to the Emma Hardie cleansing balm. 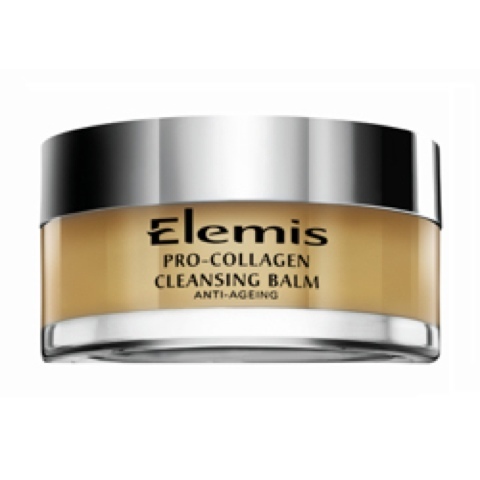 The balm is used to dissolve make up and daily grime from your face leaving it feeling soft, nourished and moisturised. The reviews on it have been really good, and the fact that your make up dissolves effortlessly makes it really appeal to me for using at the end of the day, when all you want is everything removed quickly before bedding down. What do you think to my wish list? Have you used any of the products mentioned, I would love to know what you thought of them. Hello peeps! 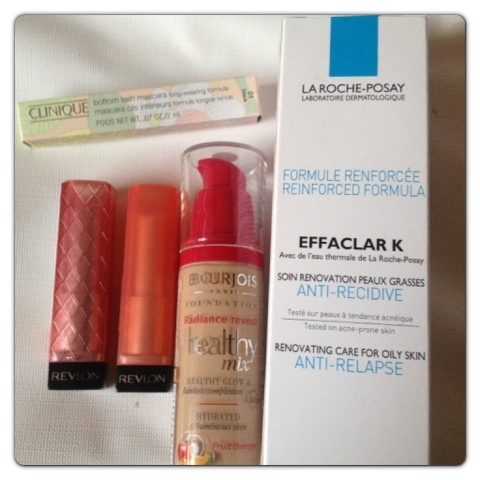 This is going to be a quick post about my beauty haul today. These are products that I have been meaning to get for a while and finally had the chance to pop into town today and get them. 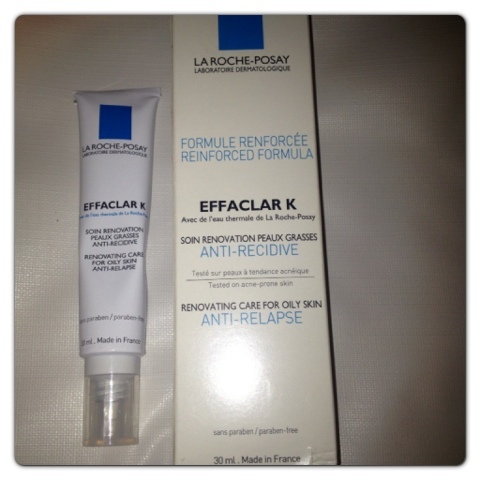 La Roche Posay Effaclar K.
So what do you think of my latest haul? 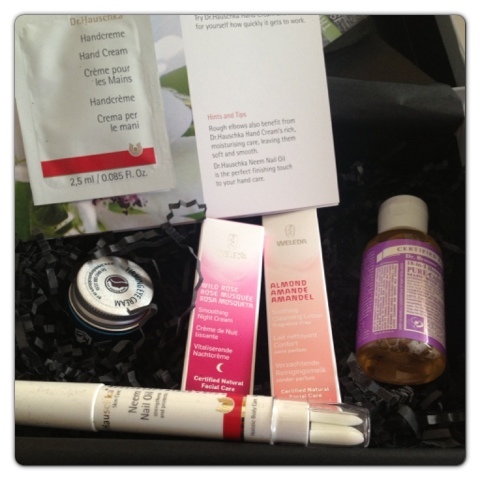 This months Luxbox* has a back to nature theme, all products are organic and completely natural. This month their are 6 items in the box, two of which are full sized. 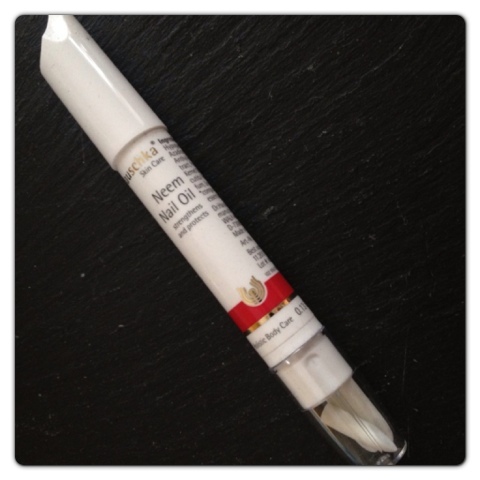 Dr Hauschka Neem nail oil pen. 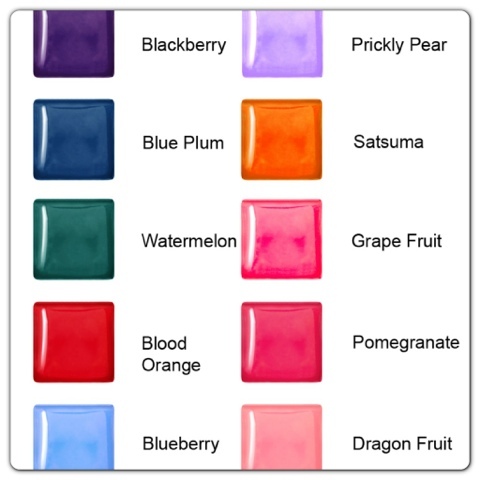 £15.95 for 4ml. Full sized item. This nail oil pen is made from the anti fungal neem leaf which encourages the growth of strong nails, and softens cuticles. 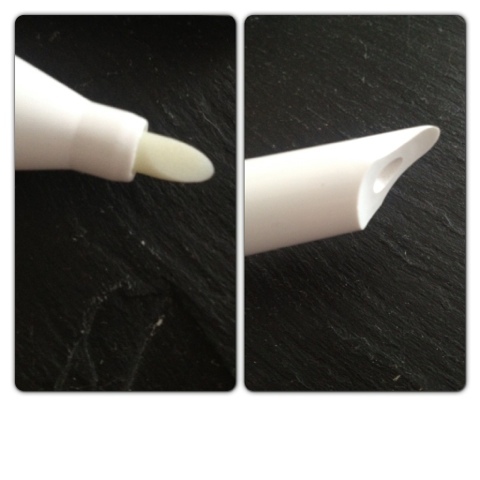 The unique design sees a pen like tip the delivers the right amount of product to the nail and a lid that is designed to push back cuticles. Ideal for your handbag and travelling. 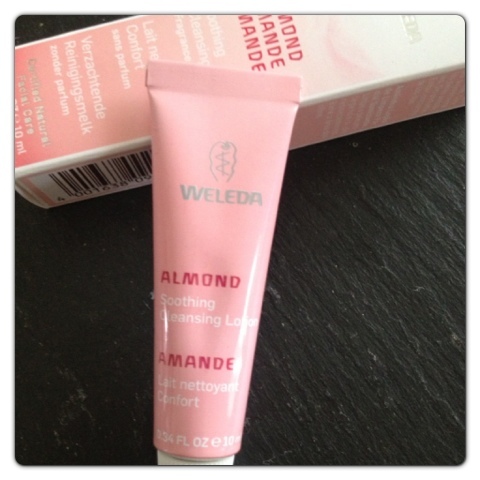 Weleda Almond Soothing cleansing lotion. £9.95 for 75ml. This is a 10 ml sample. 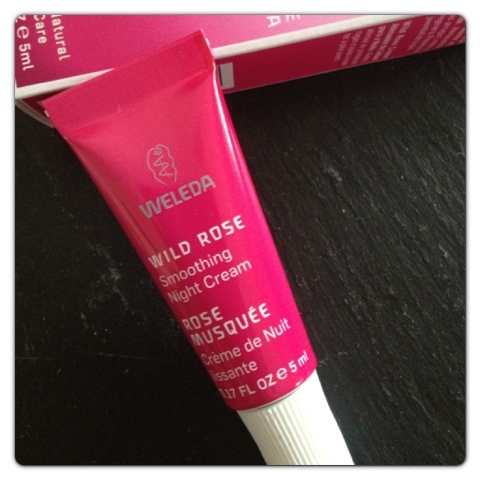 This is a best selling night cream that is made from wild musk rose, rich in fatty acids it helps prevent fine lines as well as nourishing and protecting the skin. It sounds wonderful ( any thing to stop the signs of ageing) but I really don't like the rose smell in cosmetics, it reminds me of my nan! 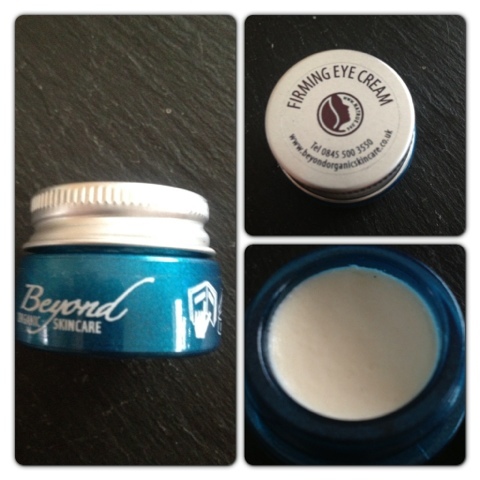 Beyond Organic firming Eye Cream. £9.60 for 7ml. This is a full size product. This award winning cream reduces puffiness and is proven to combat the appearance of wrinkles and fine lines around the eye area. I have never heard of this make before and from the signs of it it has a lot to live up to! 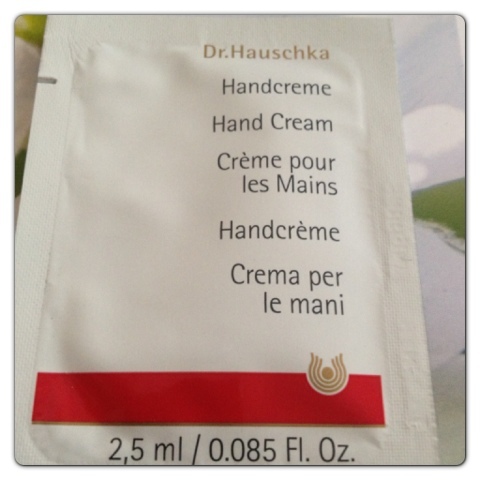 Another product from the Dr Hauschka brand, this is meant to be the perfect partner to the Neem nail oil. Special Bryophyllum extracts hydrate and regenerate the skin while special oils and waxes protect and soothe our hands. This remarkable, non-greasy cream is beneficial for all, especially those with dry skin or those who work in harsh environmental conditions. 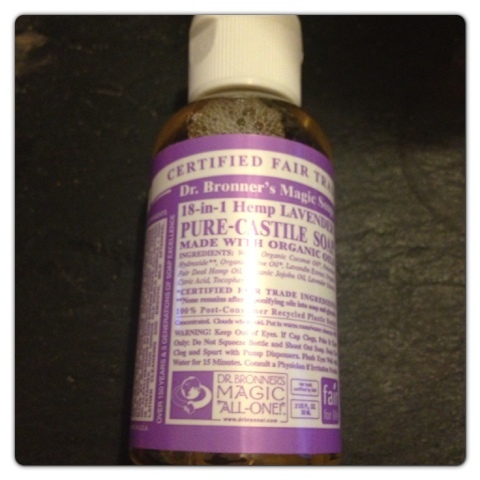 Dr Bronner Magic liquid soap. £8.49 for 473ml. This is a 59ml sample. This soap is made from organic oils including coconut, olive jojoba and hemp. These together have made a soap that cleans without being aggressive and leaves the skin silky soft. It comes in 5 different scents, citrus, peppermint, rose, almond and the one I have lavender. This product sounds good, buy me being me I also hate the smell! I know lots of people love the smell of lavender but I'm not one of them. Now I'm being honest here, but I'm not too bothered about organic and natural skincare and make up products. To me its an added bonus if I really like something, but I don't go out of my way to find them. 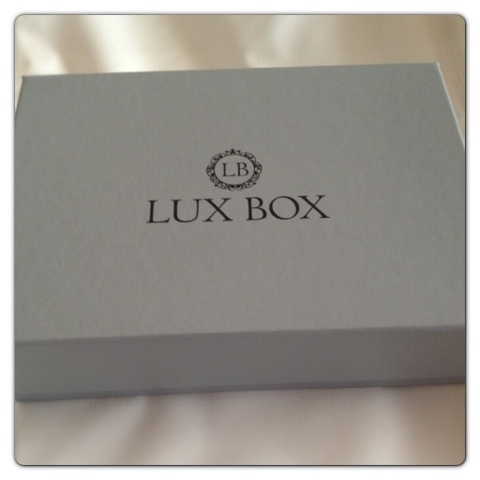 Please don't judge me, I know this box will appeal to many, that are looking to try a natural alternative to their skincare routine. .
What did you think to your Luxbox? As a Hairdresser I get to try out new products and brands all the time (fantastic perk of the job), one of these products is from the new range from Hairbond. Hairbond has become a bit of a cult brand in the hairdressing industry with celebrity clients loving the products and winning Best Male Hair Styling Product of 2011. 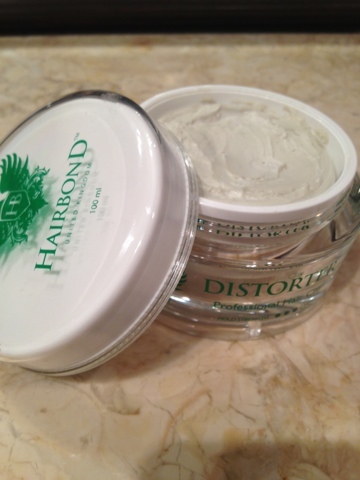 One of the products is Distorter* a clay like styling product for flexible styles and hold. The packaging is simple yet trendy in a super sleek pot. The pot is made of plastic and loads 100ml which makes it ideal for travelling. "The Distorter Professional Hair Clay is elite,styling product that creates texture with a supple finish. Flexible hold gives great results to thick straight hair. This product will give hair a strong to medium hold allowing elasticity for easy use. Apply to dry hair and distort your own look generating superb styling results. This product has a delicious Juicy Fruit fragrance. The Distorter washes out easily in water." I have been trying this out on a couple of clients recently after looking for a styling product that will define and add texture to the hair without weighing it down, and this product delivered it all! 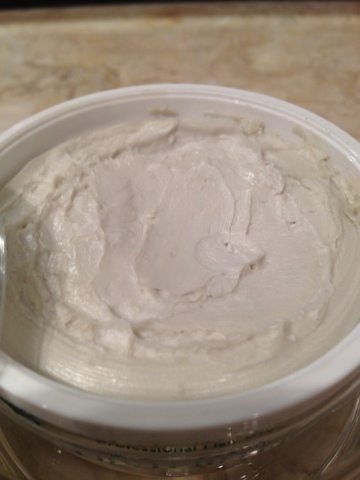 The clay has a light creamy texture which is soft and flexible, and not a all sticky. 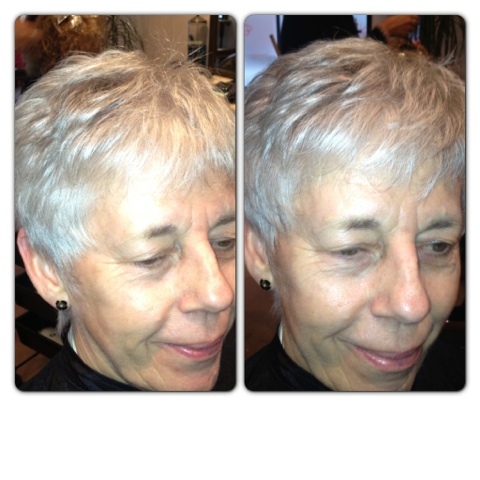 It is a very easy product to work with and doesn't clump or look greasy. The smell is amazing!! It smells of the alcoholic drink Apple Sours! (Yummy). If you have never tried apple sours, it smells of apples (funny that!) which is super sweet, fresh and just gorgeous. Your hair smells amazing and as does your hands after applying it. I pop a 2p size amount into my hands and rub them together, I then scrunch it all over the head to disperse the clay evenly, then start to mould and shape the hair to the style that I want to achieve. It is great if you like to experiment with different looks, the flexible clay allows you to restyle without the need to apply more product. What I really like about this product it that the hair still looks shiny and healthy, it can easily be brushed/washed out without leaving any residue. It's gives a very natural look and the hair doesn't look overloaded or greasy. As you can see from the photo's above, the hair looks more textured and the style looks sharper and more defined, without looking dull or too "over done". 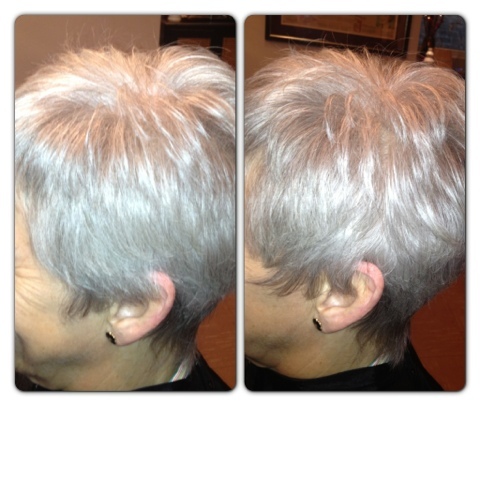 The product has taken away the "fluffy" look giving the style more structure and shape. Hairbond is manly aimed at men but the universal packaging and fragrance makes it a great unisex product for both men and women of all ages. If your a bit scared of using products in your hair, or don't like the feeling that they leave, then this is a great product for you to try. Best for hair length - Short to mid length hair. Best to use on ( hair types) -Fine to Medium texture. 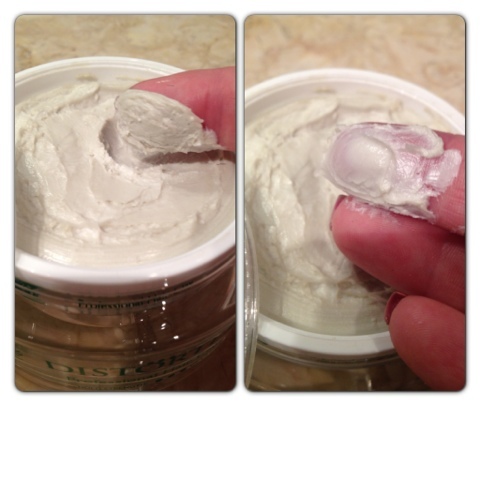 Hold - I would say this is a good medium hold that doesn't feel hard or greasy to the touch. Value for money - 100 ml or £13.99 I think this is a good price, I know a lot of brands where you get far less product and quality on a higher price tag! Not so good on - Long, curly or really coarse hair. Have you tried any products from the Hairbond range? Leave a comment and let me know what you thought.